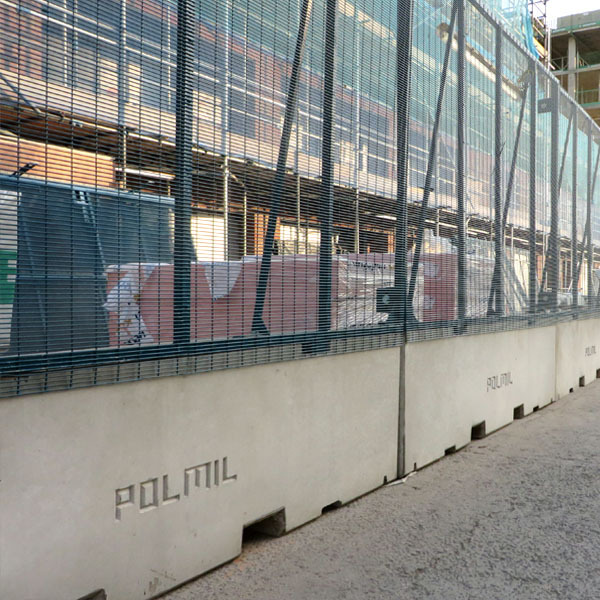 The POLMIL® Modular VCB on ground system is based on a 2,500kg, 3 metre long, Vertical Concrete Barrier with a single-piece weldmesh panel bolted on top to form a modular fence unit. 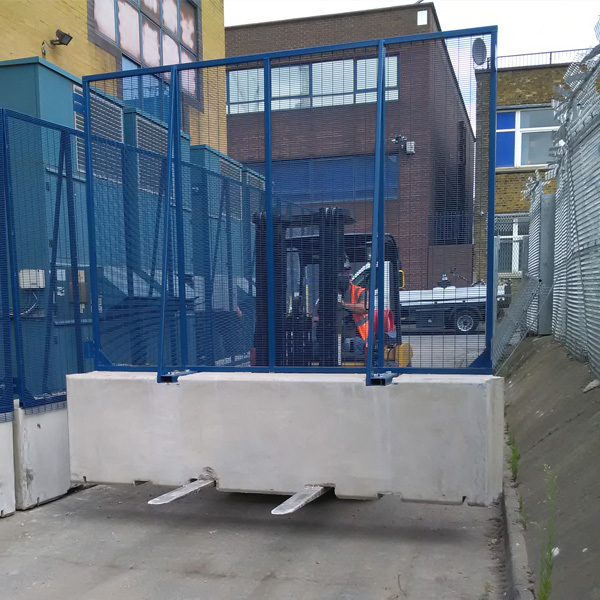 These narrow footprint, 450mm wide units, are swiftly deployed by a forklift and banksman, with no specialist fencing knowledge required. 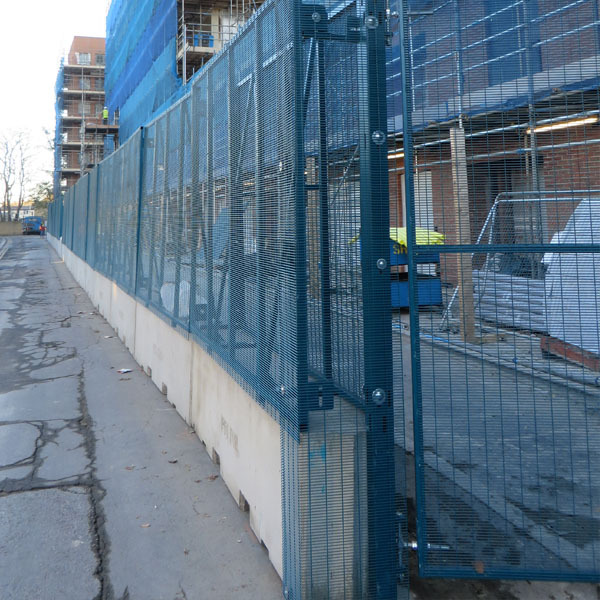 Each section can be fastened together by bolting through the tolerant slotted joining plates located at top and bottom of each fence panel. The POLMIL® VCB has standard forklift slots for ease of lifting, and includes the facility for optional Chapter 8 Ground Plates which provide greater stability and recessed bolt-down facility, when required. 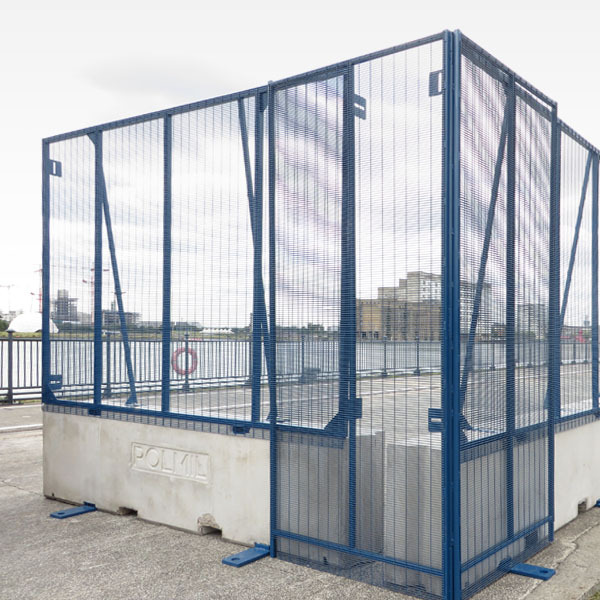 An optional full height cover mesh is available to protect any gaps between the units when deployed on uneven ground. POLMIL® systems have been tested, utilised, and proven compatible with leading CCTV and Perimeter Intruder Detection Systems (PIDS) on multiple global event venues. Fully adjustable on-ground vehicle gates and multiple crowd ‘blow-out’ gates are available, together with various pedestrian access/egress door options. 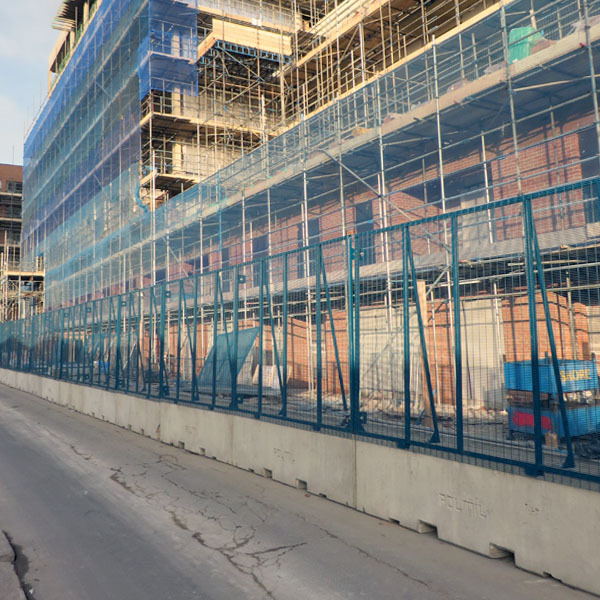 All POLMIL® Systems are supplied with a standard lead-free polyester powder coated blue finish (RAL 5001). 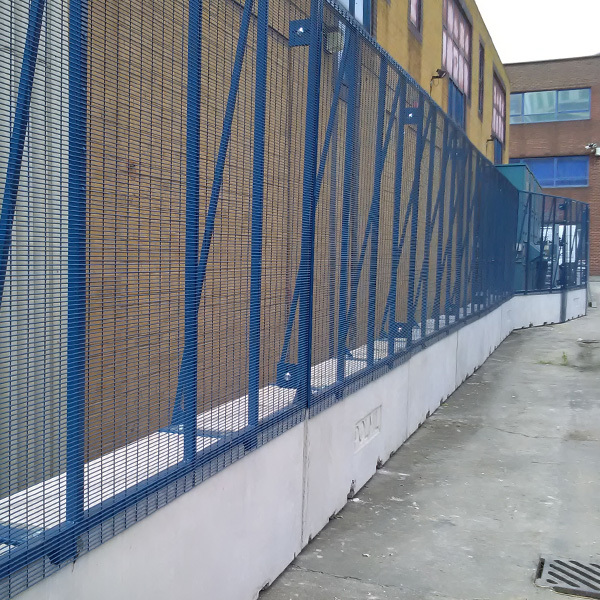 Finish: Standard pre-galvanised and powder coated blue (RAL5001) after manufacture. Other colours to order. Option, hot dipped galvanised after manufacture for long term deployments in harsh environments. Do you have a project that you would like to discuss with us?